Warmer weather and longer days are making their presence known, which means there is a lot more to do for visitors and locals. It also means that construction season is ramping up and will be with us for some time. While the orange cones, detours and dust can be a challenge, it&apos;s important to remember that there are simple ways to make the best of it. We want everyone to be well equipped to find out the latest closures and traffic adjustments so you can keep your guests and customers informed. After all, ensuring a great experience for our visitors is crucial. If you need information about getting around in Spokane, check out the City&apos;s new web page. Once there, click "Obstruction Notice" to get to the latest "Weekly Obstruction Notice." Another great source is Downtown Spokane Partnership&apos;s website, which has a page full of information about parking and getting around downtown. If you&apos;re looking for the latest in Spokane Valley, it&apos;s a quick click here to get to the City&apos;s traffic alerts. For specific information related to parking in the downtown core, Visit Spokane&apos;s website has a great map that shows just how much parking is available, even with the construction at and near the Convention Center. Our website, by the way, is chock full of information that you can use. Think of it as another tool in your chest of customer strategies. If you need more information or anything else, here&apos;s a reminder that applies regardless of the season: call us! The Visit Spokane team is here to help all our members. We all share the same goal of providing excellence to visitors and locals. So this spring and summer, let&apos;s remember: Spokane...Can Do! Visit Spokane members, particularly those with businesses in the downtown Spokane core, are encouraged to attend a Town Hall Safety Meeting. This community forum will be led by Spokane Police Captain Judi Carl and Downtown Spokane Partnership President Mark Richard. Share your ideas and perspective about how things are going and what can be done. Date: Wednesday, April 30. Time: 4:30-6pm. Location: Spokane City Hall Council Chambers. 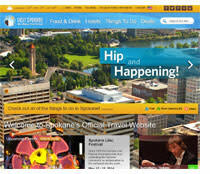 Visit Spokane has gone digital and is producing a quarterly e-zine! 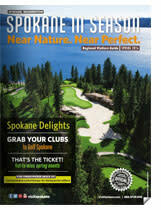 Ten pages long, the online magazine is chock-full of seasonal stuff to do in Spokane. 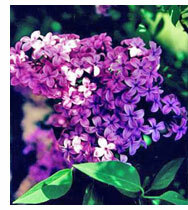 The spring e-zine was just sent to more than 60,000 consumers and is available here. Right now, we are working on the summer e-zine. If you are interested in advertising, please contact Julianne Kerley at jkerley@visitspokane.com or 509.363.6832. Also, the 2014-2015 Visit Spokane map is now available! Look for it at the Visitor Information Kiosk in River Park Square or find it here online. If you need more maps at your location to pass along to customers or guests, please contact Karen Montague at kmontague@visitspokane.com. It&apos;s safe to say purple is Spokane&apos;s favorite color - we are the Lilac City after all! In an effort to embrace our unofficial nickname and support the upcoming Lilac Festival, Mayor David Condon has initiated a plan to "Paint the Town Purple" during the month of May. Dig out your lilac, lavender and violet and don your purple proudly! Have you been to visitspokane.com recently? If not, you will notice it&apos;s undergone a major revamp! Working off a Pinterest-like design, the site is more visual, has easier navigation and allows for much more rich content. "The new site not only freshens up the look of Visit Spokane, it also allows us to logically categorize our partners in a way that will best serve the visitor" said TJ Hake, Senior Director of Business Development. "Hundreds of new pages of content have been added, and as Spokane grows, our site can too, which is exciting." If you are interested in advertising on the website, contact Julianne Kerley at jkerley@visitspokane.com or 509.363.6832. 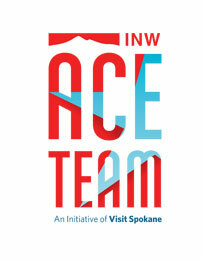 Become a member of the Inland Northwest ACE Team! ACE Team members attend a four hour hospitality training program which is split into two sections: two hours in class and two hours of experiential learning. This includes a guided bus tour to see the Spokane area through the eyes of a visitor. Register for upcoming classes here. Did you know that Visit Spokane has dedicated Directors of National Accounts in Seattle, Chicago and Washington D.C.? A part of the sales team at Visit Spokane, the individuals in each location work to market the Spokane region to meeting planners. "These remote offices allow us to reach the key decision makers in face-to-face meetings" said Keith Backsen, Vice President of Sales and Services. "This way, we can make the strongest possible push to bring more business to Spokane." Visit Spokane has had a remote office in Washington D.C. since 2010. The Seattle and Chicago offices were added in 2013 after seeing the need to be more accessible to meeting planners in the other meetings industry "hubs" regionally and nationally. Regional Director of National Accounts Kim Ritten hosted Sparkling Spokane on March 6, an event at Chicago&apos;s Silversmith Hotel. The event had 24 meeting planners in attendance, and at the end a drawing was held to win a one-carat diamond. Director of Sales Shannon Shannon, Director of National Accounts Sonja Hughes and the Spokane Convention Center&apos;s Kelsey Soukup attended the Conference Direct Annual Partner Meeting in Anaheim March 24-26. During the conference they met with more than 200 meeting planners and secured appointments with 46 planners during the trade show. Regional Director of National Accounts Karen Staples was at ASAE-Great Ideas in Orlando with Keith Backsen and the Meet in Washington team March 7-10. During the conference, the group was able to network with industry peers and generate new ideas on how to attract meeting planners to our region. March 12-14, Chief Marketing Officer Jeanna Hofmeister, Design Director Jeremy Armes, Content Manager Mark Baker and Communications Coordinator Peyton Scheller attended the WACVB Tech Summit in Portland. The conference was a great opportunity to learn best practices for website development, social media, email marketing and more. 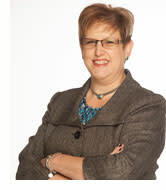 Jeanna was also a presenter at a general session on Marketing - Best Practices called, "How They Did It." The 15th Annual Inland Northwest Tourism Awards are May 15, 3-5:30pm at Martin Woldson Theater at The Fox. This awards show recognizes the Spokane region&apos;s tourism professionals who provide outstanding service and leadership. Click here for more information, or email Brooklyn Gibson at bgibson@visitspokane.com.